Sweetener: Johor Baru’s close proximity with Singapore has attracted buyers to properties in Iskandar Malaysia. The outlook for the Johor property market is likely to remain positive in the second half of the year based on the number of property transactions taking place in the state. Johor Real Estate and Housing Developers Association (Rehda) branch chairman Simon Heng says its members who took part in the Malaysia Property Expo (Mapex) events recorded a 15% increase in sales. Some 33 developers who participated in the four-day event held in last November raked in RM331mil in sales over a one-month period and the figure jumped to about RM384mil in Mapex held in May 2011. “Our members reported better sales in the first half of the year and expect the momentum to continue in the second half of 2011,'' Heng says in an interview with StarBizWeek. The 30-day period starting from the first day of Mapex is the benchmark used by Rehda to determine the value of sales by participating developers. There were several contributing factors that drove demand for properties in the Johor property market this year especially in the Johor Baru district. As the pulse of the state, the Johor Baru district has the highest concentration of Johor-based and non-Johor-based developers compared with other districts such as Batu Pahat, Kluang, Muar and Segamat. “Many property buyers in Johor Baru are anticipating prices of properties will rise and have decided to make their purchase before the prices escalate again,'' says Heng. He says the economic recovery meant that consumer confidence was returning after a two-year low period following the global recession sparked off by the US subprime crisis and European financial woes in 2008 and 2009. Iskandar Malaysia, Heng says, is another main factor that contributed to the positive growth in the Johor Baru property market as it helps to boost demand for houses in the area. Prior to the inception of Iskandar Malaysia in November 2006, demand for high-end residential properties was best described as lacklustre, but now demand for such properties is on the uptrend. It is common to see developers with projects in Iskandar Malaysia selling their double-storey link-house from RM350,000 up to RM450,000 each. The units are selling like hot cakes. “Shophouses are also selling well and reports from our members show that a lot of buyers from Kuala Lumpur are buying the shophouses as investment,'' he says. Heng says many of the buyers consider prices of shophouses in Johor Baru are much lower than those in Kuala Lumpur and that they would make good investments in view of the development taking place within Iskandar Malaysia. Iskandar Malaysia covers 2,219 sq km located in the southernmost part of Johor and divided into five flagship development zones the Johor Baru City Centre, Nusajaya, Eastern Gate Development, Western Gate Development and Senai-Kulai. Heng says even prices of properties in the Senai-Kulai area, on the northern part of the Johor Baru district which was one described as “hulu” or remote, are going up due to better accessibility and connectivity. A single-storey terrace house at Bandar Putra Kulai by IOI Properties Bhd launched in June 2010 was priced RM130,000 each and sold for RM200,000 in June this year. The two-storey link house in the same housing scheme which was sold at RM189,00 a unit in June last year, was going for RM269,000 each in June this year. “Iskandar Malaysia is now gaining momentum with many ongoing projects by both the public and the private sectors at several stages of development,'' says Heng. 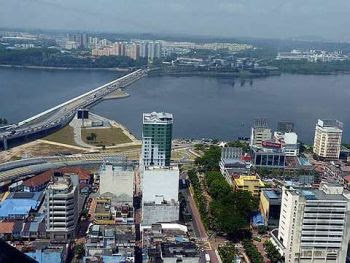 He says the completion of the New Coastal Highway, the Eastern Dispersal Link Expressway and the Southern Link next year would improve accessibility and connectivity within Iskandar Malaysia; hence help to push demand for properties. The Kempas-Tebrau, Mount Austin, Nusajaya and Kulaijaya areas are expected to be the property hot spots with several projects to be launched within the next one to two years. Meanwhile, KGV International Property Consultants (M) Sdn Bhd director Samuel Tan Wee Cheng says the property sector constitutes 30% of the total committed investments while the manufacturing sector makes up about 40%. He says although the Iskandar Regional Development Authority (Irda) wants the services sector to be the forefront, the manufacturing and the property sectors are still the main contributors to the cumulative investments in Iskandar Malaysia. Irda chief executive officer Ismail Ibrahim says that as of June 2011, Iskandar Malaysia has received about RM95bil in committed investments, up from RM73bil in the first quarter of the year. He says that while Iskandar Malaysia is a main factor that pushed demand for high-end properties, the stakeholders must ensure that buyers who could not afford them are not left out. “It is good for developers to be able to sell high-end properties especially to foreigners but we need to have a balanced approach to ensure locals are not sidelined in the name of progress,'' says Tan. He says demand for properties in Johor Baru was up in the first half of the year as many prospective buyers missed the opportunity to buy the properties at lower prices due to the 1998 and 2009 economic recession. Typically, buying a property would be the last option most people would consider committing to during economic uncertainties given concerns over job security. “The moment the economy starts to show signs of recovery, those who missed the boat earlier will invest in properties as properties are always a good hedge,'' he says. Tan says confidence in Johor is now at all time high especially with the progress made by Iskandar Malaysia since its inception five years ago, although many are sceptical in the early days on whether it would take off successfully. Tan says the property sector constitutes 30% of total committed investments. He says that as the Government-backed economic growth corridor in the country, Iskandar Malaysia has strong backing from the Government in terms of funding for infrastructure development projects. 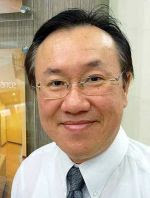 “Road upgrading and new road projects within Iskandar Malaysia will improve accessibility and connectivity and buyers will look at other locations which were previously unpopular,'' says Tan. For instance, Rawang and Shah Alam in Selangor used to be out of the radar among property buyers in the Klang Valley but now, buyers are flocking there as better infrastructure has turned them into preferred locations. Tan says foreign investors, who were largely interested in Singapore and the Klang Valley, are also gradually turning their gaze to Iskandar Malaysia. A definite sweetener is Johor Baru's close proximity with Singapore which has attracted buyers especially Singaporeans to properties in Iskandar Malaysia. “Like it or not as close neighbours, Johor and Singapore complement each other in economic activities due to a long history of economic interdependence,'' says Tan. With the republic's investment arm Temasek Holdings showing its serious commitment to invest in Iskandar Malaysia, more Singapore property players such as Mapletree and CapitaLand would likely invest in the property sector here. Tan hopes that the Government will take a proactive step to correct the misconception that Iskandar Malaysia is Nusajaya as there are other areas that need equal attention in terms of infrastructure projects and investment flows. Mah Sing Group Bhd is proving its mettle as a versatile developer with good landbanking skills and the ability to enter into promising joint ventures with owners of land in strategic locations. The company's latest 60:40 joint venture with Asie Sdn Bhd for the redevelopment of 4.08 acres of the former Pekeliling flats area, along the busy thoroughfare of Jalan Tun Razak-Jalan Pahang in Kuala Lumpur, has stirred quite a lot of excitement in the market given the project's prominent location. Leong says Mah Sing will engage an international architect for the project. To be named M Sentral, the project comprising service residences and retail units with an estimated gross development value (GDV) of RM900mil, forms the first part of a privatised urban regeneration project of the old Tunku Abdul Rahman flats covering 58 acres. The project is the largest privatised urban regeneration project in Kuala Lumpur so far. Private company, Asie, has been granted the concession rights to develop the whole of the 58-acre site into a mixed development with potential GDV of RM9bil. The project with the theme “River Garden City” will comprise residential and commercial property, community, leisure, recreation and infrastructure facilities. Asie and its subsidiary Usaha Nusantara Sdn Bhd will undertake the development of the maiden parcel on the 4.08 acres jointly with Mah Sing's wholly-owned subsidiary Grand Pavilion Development Sdn Bhd. The project site has the Titiwangsa LRT and monorail stations and various city landmarks like the Istana Budaya, Lake Titiwangsa, National Heart Centre and Kuala Lumpur Hospital in close vicinity. With the right master planning, the urban regeneration project will be able to add significant value to the land. According to Mah Sing group managing director and chief executive Tan Sri Leong Hoy Kum, the renewal project is a comprehensive redevelopment to encourage the community to live, work and play in the city centre. “The 4.08 acre site is on a prime location facing Jalan Tun Razak and will be one of the most visible plots of the entire 58 acres. Linking this maiden development to the entire site will be a sky bridge that Mah Sing will put up with the understanding that we may be the potential joint venture partner for other parcels within the land,” he shares with StarBizWeek. “We shall go along with the over-arching theme of River Garden City, and make sure that our design is modular so that we can expand the theme to envelope the land as and when it becomes necessary. We are keen to show our execution abilities to turn the land into a new riverside garden city,” he adds. M Sentral will comprise smaller sized and more affordable service residences with lower entry prices to cater to the strong demand for such units. There will also be some retail units. “We are looking at small units from 500 sq ft, priced between RM700 and RM800 per sq ft. From our preliminary plans, the service residences will make up approximately 75% of the units and we are looking at 1,000 units overall,” he adds. The target market for M Sentral are executives, expatriates and those working in the medical fraternity in view of the ease of access to prime commercial areas, tourist attraction areas, medical facilities, amenities and network of public transportation in the surrounding areas. 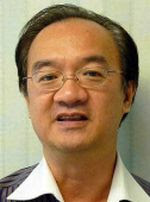 “The location, concept, product and branding will be its key success factors,” Leong stresses. He says the land is ready for immediate development as demolition works, soil investigations and partial earthworks have been completed. Awareness programme and registration of interest for M Sentral are expected to commence in the second half of this year. Subject to authorities' approval and fulfilment of conditions precedent, the proposed development is expected to commence by the first half of 2012 and to be developed over a span of five years. Based on Mah Sing's fast project turnaround model and marketing prowess, the project previews are set to start as early as the second quarter of this year. While most analysts have given the thumbs up for the project, there are also sceptics who think that the land cost could be too high. UOB Kay Hian Research says the total implied consideration of RM106.6mil or at RM600 per sq ft for the 4.08 acre land, is considered costly compared with other recent land transactions nearby. CIMB Research however takes a positive view of the acquisition, noting that “the purchase price of RM600 per sq ft is fair for a project with such a high GDV and in such a strategic location being adjacent to a very busy ring road.” Its proximity to an integrated LRT and monorail station also enhances its accessibility. “This venture could be the start of many joint ventures with the land owner, and Mah Sing may be able to participate in the entire urban regeneration project which is estimated to have a GDV of RM9bil,” adds CIMB Research. TA Research is also positive of the deal and is confident that Mah Sing will be able to secure other development rights for the remaining 53.9 acres of concession land for the ease of project coordination and management. “This will serve as an earnings catalyst to support future earnings growth. This is especially true in this period of time where a prime and sizeable landbank in a strategic location is hard to come by,” it notes. Assuming a 20% PBT margin and the investment cost of RM106.6mil, the research house says the development could offer potential yields of 15% return per annum over the development period of five years. Leong is confident that M Sentral will turn out to be another success story for the company. He says Mah Sing has enjoyed great success for its M brand series of projects so far. M Sentral will be the third project in the series, he says, adding that all the three projects M Suites, M City and M Sentral are all well served by good public transportation links. Besides the existing LRT and monorail networks, there may also be future MRT stations that may be located close to these projects potential Great Eastern Mall stop for M Suites, potential Ampang Point stop for M City and potential Titiwangsa stop for M Sentral. M City is served by LRT network at the Dato Keramat and Jelatek stations, and Star line (Ampang station). M Sentral's central location also makes it the next major transit hub. M Suites Jalan Ampang, next to Great Eastern Mall, comprising service apartments from 500 sq ft are nearly 100% sold. M City Jalan Ampang comprising service residences, SoHo, sky villas, three-storey shops and lifestyle retail outlets, is also well received. Only the SoHo in M City has been previewed in May, and units in phase 1A have all been taken up and about 30% of phase 1B has been sold so far. The five acre project has garnered much interest with its garden city concept with over four acres of greenery with thematic hanging gardens and lagoon parks. Leong says urban renewal projects allow Mah Sing access to prime land, and the company will continue to acquire strategically located land as part of its growth plan. “We would like to take part in more urban regeneration projects by both the Government and the private sector. We have been aggressively acquiring land and with our track record and branding, we are frequently presented with various proposals. We have the appetite and balance sheet, but we are also very selective of the lands that we buy. “These must be good ones which fit our business model and allow us to value add. We believe our track record, know how, branding and financial capacity can help to unlock and enhance the land's value,” he adds. SINGAPORE: Malaysia Property Inc's (MPI) Singapore Gallery has launched a marketing initiative with Glomac Bhd to promote three new residential launches - Suria Residen (Kuala Lumpur), Mutiara Damansara Residences and Glomac Damansara Residences (Selangor) to Singapore home buyers and investors. Glomac's group managing director/chief executive officer, Datuk FD Iskandar said Singaporeans, who were considering a second vacation home or making Malaysia their permanent resi-dence, would enjoy substantial savings during this one-week showcase at MPI Singapore Gallery. "The attractive incentives, coupled with a strong Singapore dollar, will ensure upfront affordability with the long-term aim of capital gains and attractive rental yield," he said when announcing the partnership here yesterday. MPI chief executive officer Kumar Tharmalingam said with a reputed developer like Glomac as partner, it affirmed once again MPI's standing as a Malaysian government-supported authority in bridging retail and institutional investors with the right developer and investment company respectively. "With Glomac showcasing their newly-launched developments at MPI's Singapore Gallery, it assures Singapore home buyers and investors that their money is parked in a safe venture," he said. From August 5-11 2011, Singapore buyers will enjoy exclusive incentives, which include a low booking fee of RM5,000, special discounts for select units, developer interest-bearing scheme until completion, absorption of sales and purchase agreement legal fee and first 12 months' maintenance charges. Suria Residen, located at Batu 9 Cheras next to Venice Hill, is expected to be completed in 2013. The 0.48-hectare development will feature 16 double-storey semi-detached houses, each with a built-up area of 3,480 sq ft.Prices start from RM1.328 million. Mutiara Damansara Residences, which is expected to be completed in 2015 and Glomac Damansara Residences in 2014, are freehold serviced apartments. Mutiara Damansara Residences is located 25 minutes from Kuala Lumpur City Centre while Glomac's Damansara Residences, a mixed development that includes commercial and retail modules, is located 20 minutes from Kuala Lumpur City Centre.